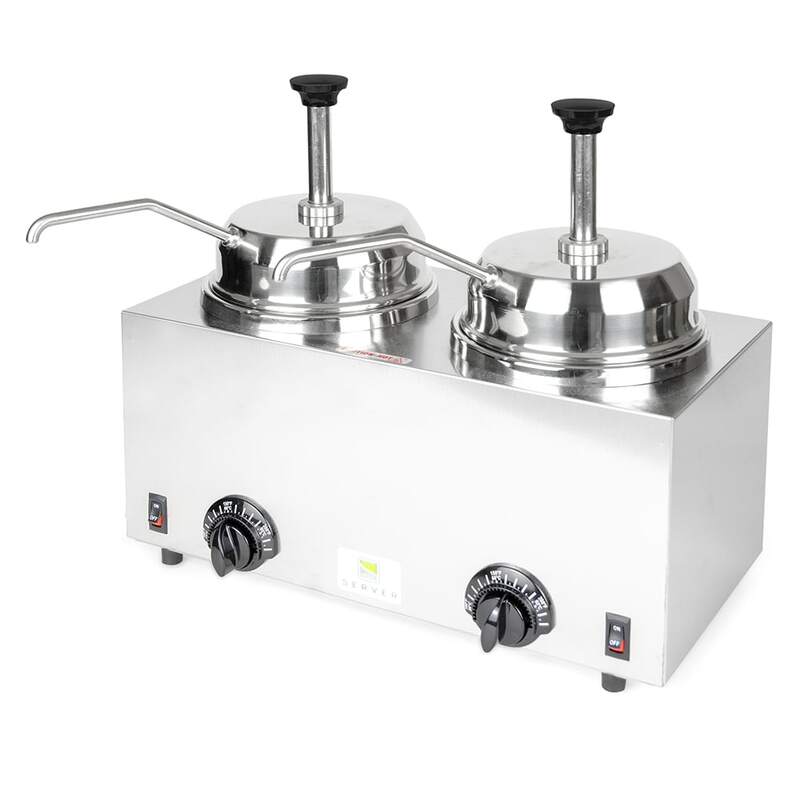 The Server Products 81230 twin pump topping dispenser allows the operator to set the amount dispensed with each pump stroke in 1⁄8 ounce increments, with a maximum of 1 ounce. Heat is distributed evenly through two independently-controlled water baths, and the unit can accept No. 10 cans and Server 94009 stainless steel 3-quart steel jars, both of which are sold separately. The whole unit is constructed of stainless steel with a No. 4 satin or brushed finish. 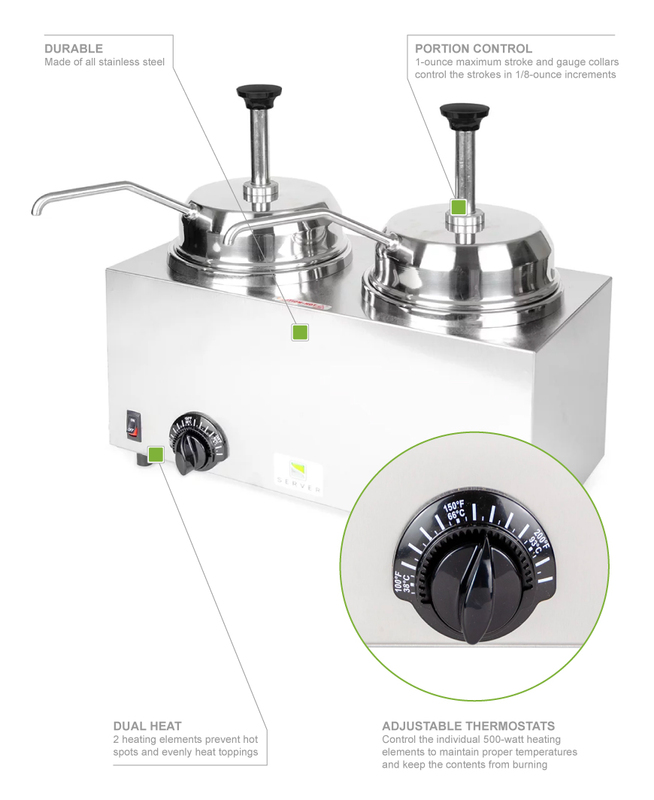 There are two pre-calibrated, adjustable thermostatic controls that have the temperature settings outlined on the knobs and control individual heating elements of 500 watts each. Temperature ranges from 100 to 200 degrees Fahrenheit and on/off rocker switches control the power. The Server Products 81230 twin pump topping dispenser can hold and serve two toppings at once.